“Hats Off to Dr. Seuss!” In honor of Dr. Seuss 75th anniversary of the book “The 500 Hats of Bartholomew Cubbins”. 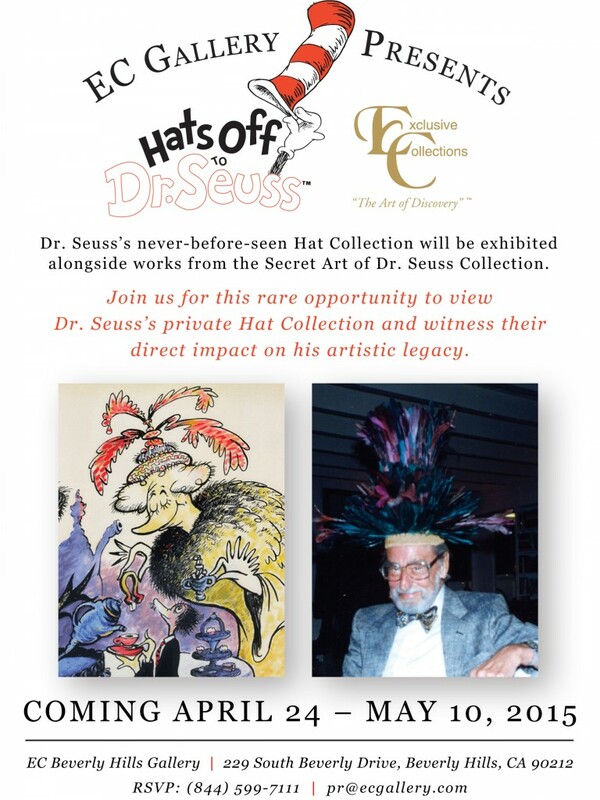 EC Gallery in Beverly Hills will exhibit a rare collection of never before seen works of Dr. Seuss as well as his extravagant hat collection! Find us there tomorrow April 24, 2015 at Exclusive Galleries located at 229 S. Beverly Drive, Beverly Hills, CA 90212. This is so exciting! Frida and I will be there to witness this special occasion. Matt Small- Sentient Closing Reception this weekend!